KUALA LUMPUR (April 15): The Perodua Myvi has won the best Value-for-Money Car of the Year award for the 1.3L and above category at the annual Frost & Sullivan Malaysia Excellence Awards last night. In a statement today, Perusahaan Otomobil Kedua Sendirian Bhd (Perodua) said the car was honoured based on the quantitative measurements which include sales volume for 2014, selling price of the model in 2014, part costs and fuel consumption. The total cost of ownership over a 5-year period or approximately 100,000km usage is also considered. “This award is a testament to the Perodua Myvi and as an extension to Perodua, as it demonstrates our overall commitment to bring you the best in terms of in-built quality and value preposition,” said Perodua President and chief executive officer Datuk Aminar Rashid Salleh in the statement. 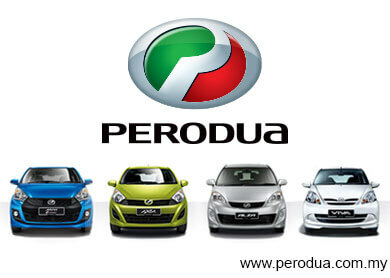 He thanked customers who have made the Perodua Myvi, the company’s best model for nine years in a row. "This award is also special and timely, as we are celebrating the Perodua Myvi's 10th Anniversary in May this year, as well as an endorsement for the Myvi's Love of the Nation Campaign, which is currently running to December this year," he added. Perodua has sold more than 830,000 units of the Myvi since its launch in 2005. In its 11th year, the Frost & Sullivan Malaysia Excellence Awards evaluates and recognises industry leaders in the telecommunications, automotive, energy, environment, healthcare and logistics sectors.